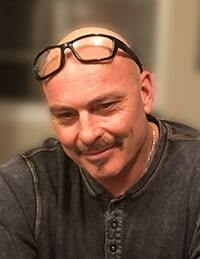 Kevin Murray Braul - Edmonton's Burial & Cremation Professionals | Trinity Funeral Home Ltd. It is with great sadness that the family of Kevin Braul announces his passing on February 1, 2019 at the age of 54. Kevin will be forever loved and sadly missed by his wife Michelle, children Matthew and Jack. He is also survived by his parents Walter and Erna Braul, as well as two siblings Shannon (Donald) Allard and Bryan (Mellissa) Braul; three nephews: Dylan, Devin and Adam as well as on niece Caitlin; stepchildren Randi (Ryan), Jason, step grandsons Cohen and Jaxon and a special granddaughter Selene Nancy. Kevin was predeceased by both sets of his four grandparents as well as numerous uncles and aunts.